Whether it is a girls night in, or girls night out, we have curated a list of our top picks for any occasion with your besties! Paint your nails for a night out on the town, or have the girls over for a mani/pedi night in with these gorgeous colors! Minimalism does not have to be boring, check out these open threader earrings to create an elegant statement! The perfect bag for a night out on the town. Keep your phone and lip gloss right at your side with this trusty sidekick. Keep the party smelling fresh and the Chardonnay flowing with this grapefruit and peach scented soy candle. Laura Ann says it best, “The fruity, darkly sweet flavor of a Manhattan in a jar”- Start your night with a crafty cocktail or choose to start your day with a delicious stuffed crepe, both can be done with this magical jam. 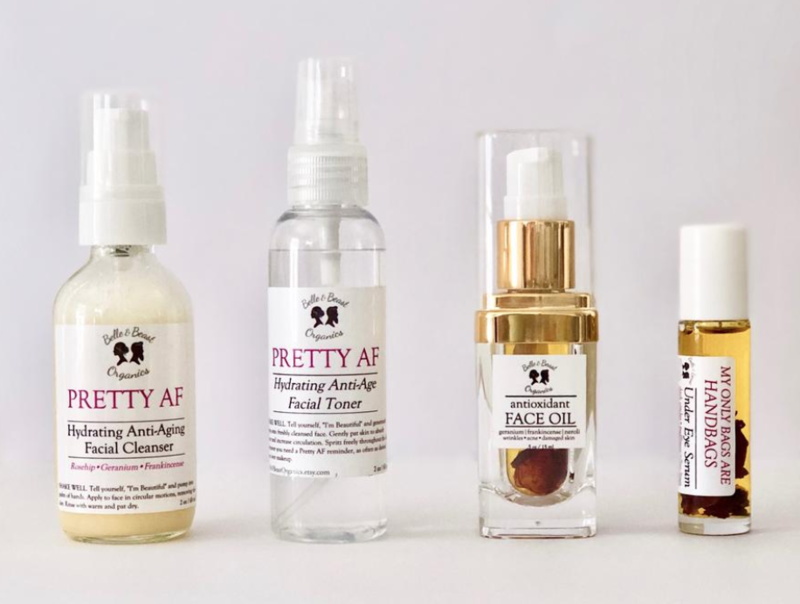 Make sure your beauty regimen is on point with this Facial Collection to ensure you are Pretty AF at your next girls night out! Why can’t your footwear be a statement? Well they will be in these metallic shoes. Even better, they use memory foam so you can comfortably dance the night away! Like Mother, Like Daughter- you and your mini me can dress to impress with these matching rompers on your next girls day!